What books were popular in school libraries over 100 years ago? New material from the Wilson County Public Library give us a fascinating glimpse into the reading habits of young people around the turn of the century. 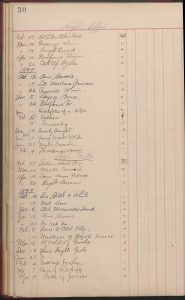 A book of circulation records from Wilson School’s Spring 1899 term details loan records from more than 250 students, showing what they read and when. Popular choices included books still well-known today such as Alice’s Adventures in Wonderland by Lewis Carroll, as well as less currently read volumes such as Young Maids and Old by Clara Louise Burnham. Wilson County Public Library has also contributed a set of portraits of Reverend Owen L.W. Smith, and his wife Dora Oden Smith. 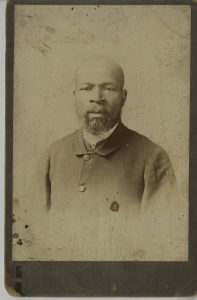 Reverend Smith was born into slavery in 1851, but as a young man ran away to join the Union Army when General Sherman marched through the south. He had an impressive and varied career as a school teacher, a Justice of the Peace, a lawyer, a preacher, and the Consul General to Liberia for two terms. He passed away in 1926 in Wilson County. To learn more about Wilson County Public Library, and see other materials they’ve contributed to DigitalNC, visit their partner page. After catching sight of the bizarre Wrigley’s gum ad seen above (cools your mouth! heartburn and flatulence disappear! 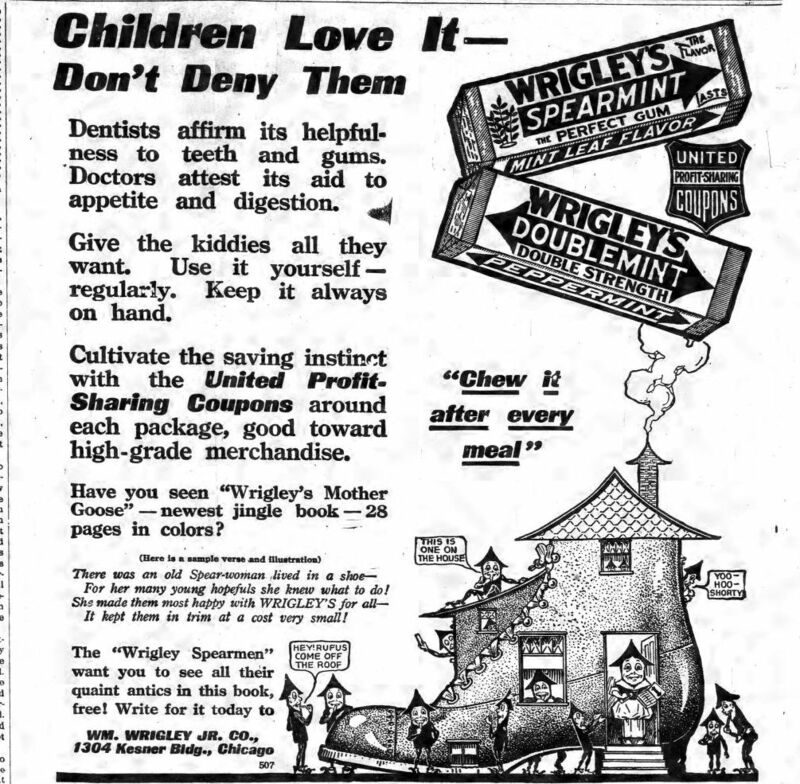 ), I dug up a number of interesting Wrigley’s ads in North Carolina newspapers from the years before and during World War I. Ads from 1914-1918 show the Spearmint/Pepsin variety, then add Doublemint (a peppermint flavor) and finally Juicy Fruit. 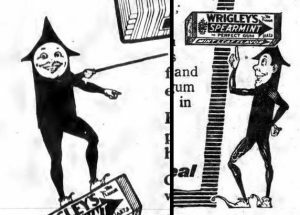 The “Wrigley Spearmen” brand mascots begin appearing around 1915, especially in ads that suggested the gum as a “goody” for children. You could send away for a Wrigley’s Mother Goose book, with the Sprightly Spearmen featured in favorite fairy tales and encouraging gum chewing. The book was distributed nationwide to schools as well. According to the ads, soldiers from the Arctic to the Southern Cross chewed Wrigley’s. The company also announced its substitution of waxed paper for tin foil to assist with the war effort. From the Wrigley website, I learned that the company invested heavily in marketing in the early 20th century. The proliferation and variety of ads I found definitely supports this. Most of the other ads in newspapers of the time period are smaller, with the largest ones promoting local businesses like banks and stores rather than individual products. Few of the ads have the eye-catching and detailed illustrations of the Wrigley’s ads, which is probably why these caught my eye. 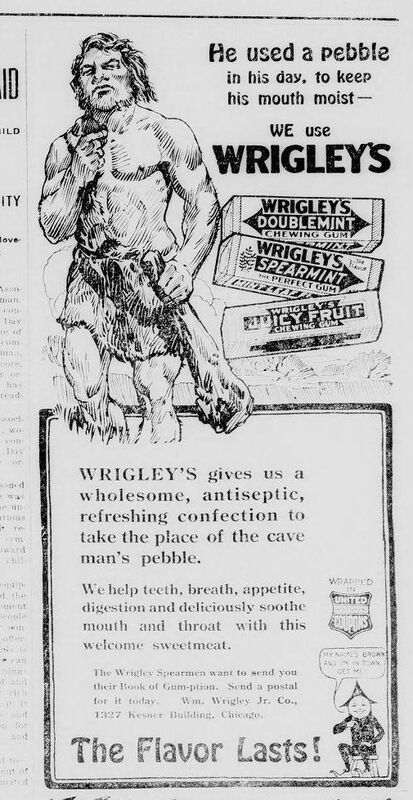 I’ll close with this last ad from 1916, which adopted an image of the “caveman” character that had entered American popular culture a few years earlier. This ad has a very different style from the others I located from the early 20th century. Perhaps Wrigley was trying out a different direction, only to return to more traditional pitches during the War. This post was greatly facilitated by our Advanced Search page, which helped me narrow down my search by year. 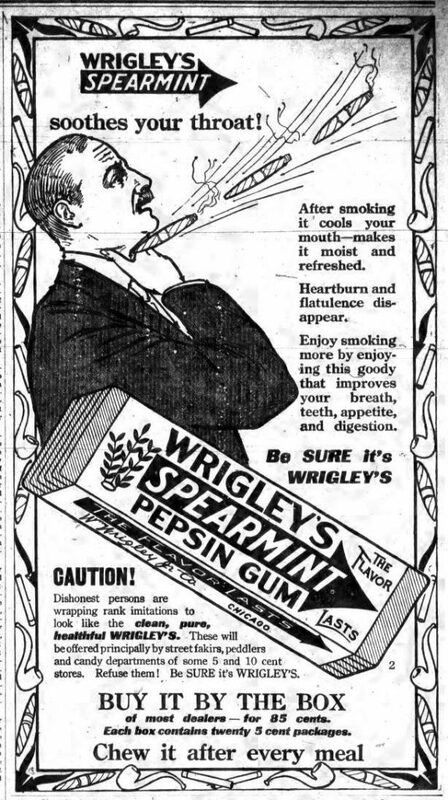 Feel free to browse a variety of front pages from 1914-1918, or my original Wrigley’s search. Two editions of the Hi-Noc-Ar from Rocky Mount Senior High School are now available on DigitalNC. Thanks to our partner, Braswell Memorial Library, users can now access the 1966 and 1967 issues of this unique publication. While DigitalNC hosts yearbooks from many colleges and high schools throughout North Carolina, the Hi-Noc-Ar often features some of the most creative and witty images. To view nearly 30 years of creative students from Rocky Mount Senior High School please click here. 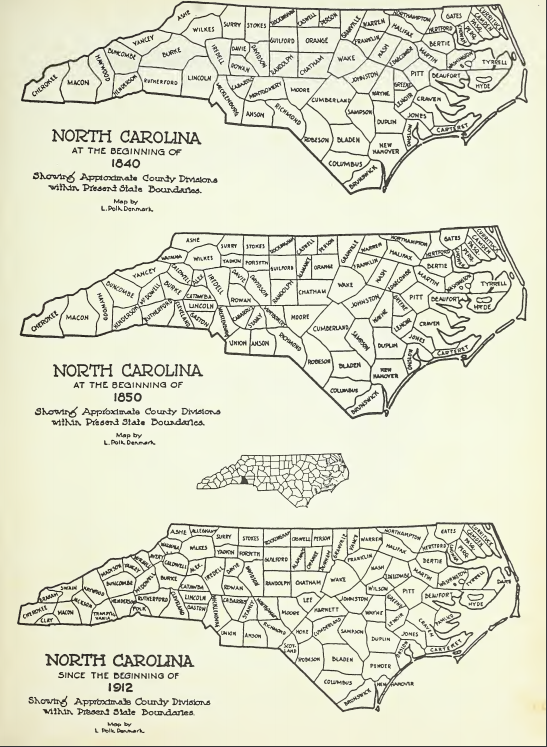 To find yearbooks from your county, please visit the North Carolina Yearbooks Collection. For more information about Braswell Memorial Library, please visit their contributor page or their website. I was poking around in the newspapers on our site looking for mentions of “Mickey Mouse” (it’s his birthday today) and did a double-take when I noticed the headline above. Dance marathons? Yes. Running marathons? Of course. Rocking chair marathons? Do tell. Elkin, NC (Wilkes County) held a rocking chair marathon in June of 1933, billed as the “second of its kind” in one issue and the “first of its kind” in another*. Contestants had to keep their chairs rocking 50 minutes out of every hour, 24 hours per day, for as long as possible. The last person standing (swaying?) and the runner-up would each receive a portion of the gross receipts from the minimal admission price charged to spectators. This event featured a new entertainment each evening, including Garley Foster “the human bird,” a “Mickey Mouse” circus on a tiny stage, a baby bathing beauty contest, and all sorts of exhibits. Master of ceremonies was Lippincott the Magician. Area businesses capitalized on the festivities, offering specials like the one mentioned at right (a free cheese sandwich with each bottle of beer)! The rockers (mostly men and boys, along with a single woman) were still going strong after more than 48 hours, and the organizers decided to extend the festivities until all but one were eliminated. I really regret to inform you that I couldn’t find out who won the contest. I didn’t see any follow-up in any of the adjacent Elkin newspaper issues. If anyone has any ideas regarding where I might dig up such a small detail about 1930s Elkin, please let me know! 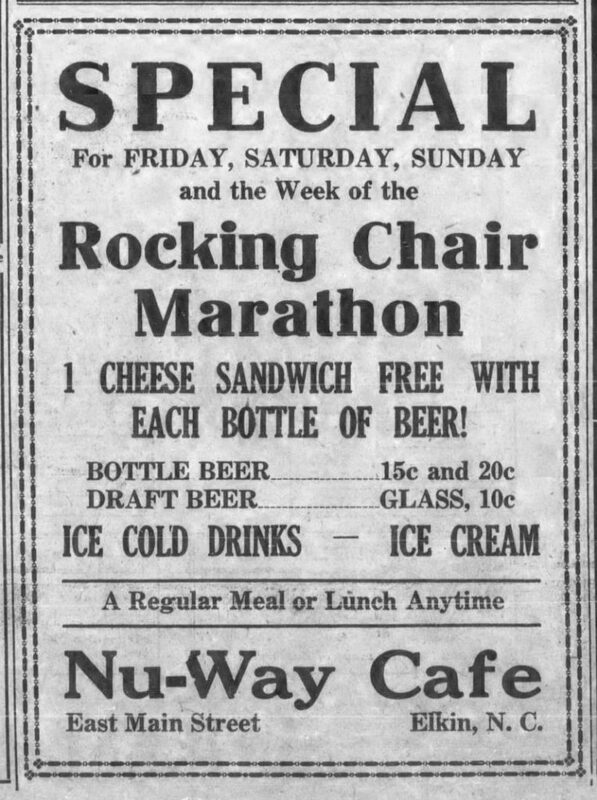 *Decatur, Ill. held a rocking chair marathon in 1929. More photos from the Benson Museum of Local History are now available on DigitalNC. The subjects of this batch range from formal family portraits, to candid snapshots of daily life in Benson, to photos of community dinners and gatherings. 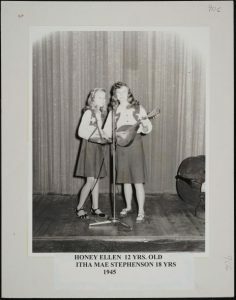 There are also many photographs documenting musical events in Benson, including WTVD’s “Saturday Night Alive” show during the 1940s and 50s, and Benson’s State Annual Singing Convention, an event that started almost a hundred years ago, and still occurs annually. According to the Convention’s website, “The State Annual Singing Convention… began modestly in a tobacco warehouse in 1921. About 200 people listened to two choirs that day. 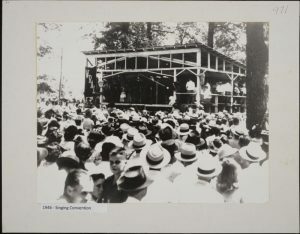 Since that time, the State Annual Singing Convention has grown and become one of the largest and oldest gospel sings in the United States.” In this new set of photos, you can see images of the Convention through the years. To see other materials from the Benson Museum of Local History, visit their contributor page, or take a look at their website. Thanks to our partner Mauney Memorial Library, genealogy history from Cleveland County is now available on DigitalNC. Created by the Cleveland County Historical Association and Museum, these volumes document the histories of families and institutions that might have otherwise been lost with the passing of older citizens. County citizens, churches, schools, civic clubs, and other entities were invited to submit stories and material for publication. The volumes include helpful indexes for easy searching and are also full-text searchable, making genealogy research faster and more efficient. This could also be useful resource for teachers working with North Carolina or Cleveland County history. To learn more about Mauney Memorial Library please visit the contributor page or the home page. 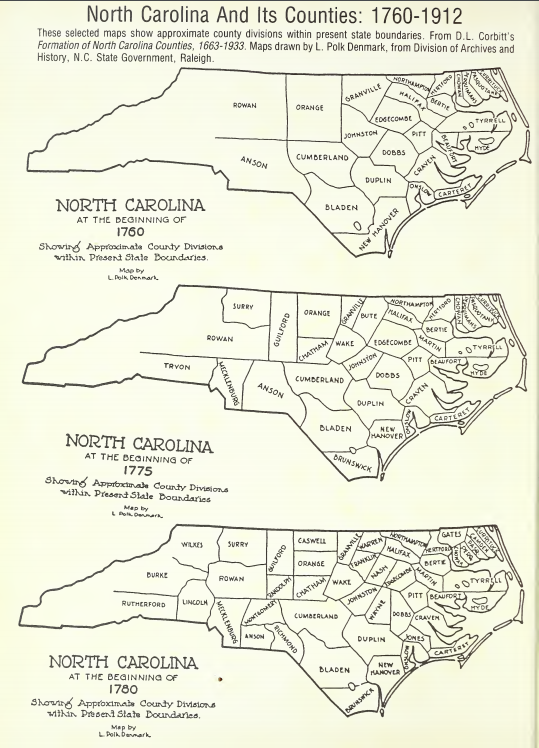 To access more great resources for genealogy and family research, please visit the North Carolina Memory Collection, which contains many items that are also full-text searchable. Edited December 13, 2016 – At the request of the contributing institution, Cleveland County Heritage Vol. II has been removed from our website at this time. We hope in the future to have it available to the public. Group of Soldiers Posed with Firestone Officials, from the Gaston Museum of Art & History. This Veterans Day, we thought we’d mention some best bets for finding and searching materials on DigitalNC related to military history. Some time periods and subjects have better representation than others, so we’ve focused on the five wars that have the most related materials. To isolate materials that are predominantly about a particular war, you can use the subject specific links listed below. After you click on one of the links above, if you’d like to search within the results, type your search term in the search box at the top of the page, leaving “within results” selected (see screenshot at right). You can also do a full text search that combines (1) your research interest (perhaps a name, a topic, or an event) in conjunction with (2) the name of a particular war. This may yield a lot more results, depending on your research interest, but it could also zero in on your target faster. Here’s a link to an example that you can amend to your own use. Only interested in photographs? Try this search, which is limited to photos that contain the word “military” or “soldiers” as a subject. 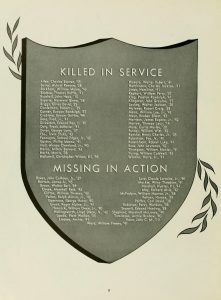 A list of alumni and students killed or missing in action, from the 1944 UNC-Chapel Hill Yackety Yack yearbook, page 12. Keep in mind that doing a full text search will be ineffective about 98% of the time when it comes to handwritten items on our site, as most do not have transcripts. This is just to let you know that you may need to read through handwritten items pulled up in one of the searches above if you believe they may contain information you’re interested in. Our partners have shared a lot of yearbooks on DigitalNC and, while they may not be the first thing that comes to mind for military history, many colleges and universities recognized students who served. Especially for the Vietnam, Korean, Gulf, and Afghan wars, yearbooks document campus reactions and protests. You currently can’t search across all of the yearbooks available on DigitalNC, however if you’d like to browse through yearbooks published during a particular war, you can use this example link and just adjust the dates as needed. 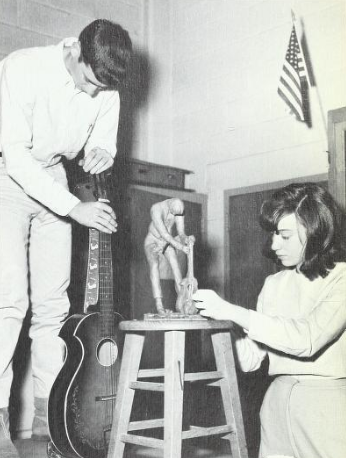 Currently, our site has high school yearbooks published up through the late 1960s, and college and university yearbooks and campus publications through 2015. 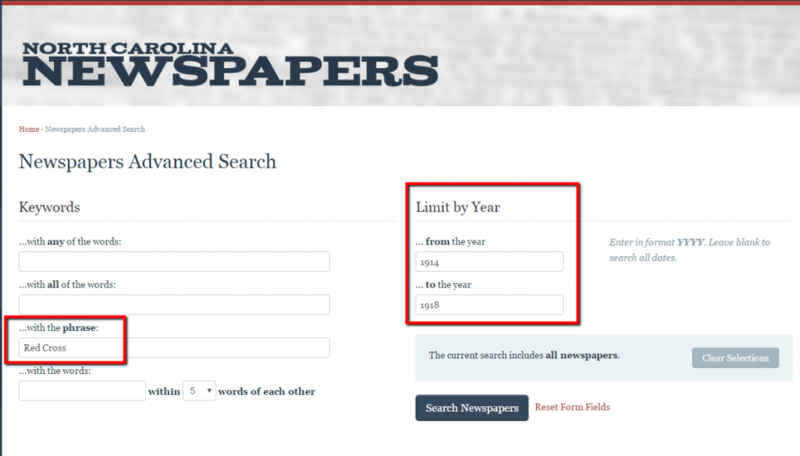 Searching the student and community newspapers on DigitalNC can yield biographical information about soldiers, editorials expressing local opinions about America’s military action, as well as news and advertisements related to rationing and resources on the homefront. The Newspapers Advanced Search is your friend here! You can target papers published during specific years. You can also narrow your search to specific newspaper titles. Screenshot of the Newspapers Advanced Search page, with the search phrase “Red Cross” and limiting the results to papers published from 1914-1918. 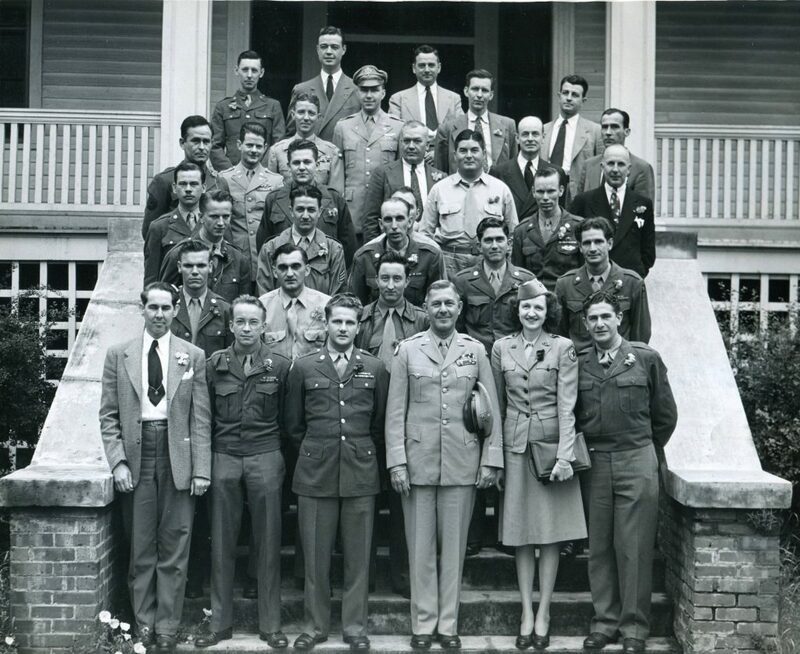 One of the largest exhibits on our site is Wilson County’s Greatest Generation, an effort by the Wilson County Historical Association to document the service men and women of Wilson County, North Carolina who served in World War II. Documentation is organized by individual, and includes personal histories, photos, clippings, and other ephemera. We hope this information can guide you through researching military history on DigitalNC. If you have any of your own tips or questions, please let us know by commenting below or contacting us. Six new artifacts and two newspaper titles are now available on DigitalNC from our partner, the Kings Mountain Historical Museum. The items date from as early as the 1780’s and reflect depth of the collection of this unique partner institution. The Kings Mountain Heritage Museum began as a storage space in the attic of the old city hall and moved to local homes and offices until a new location could be secured. The museum now resides in the former city post office and houses collections that foster a deeper understanding of the material culture of North Carolina’s Piedmont region. The items that relate to land grants and court appearances in the surrounding area. Some of the locations mentioned in the documents may be familiar to locals and offer interesting stories about the area. These items could be useful for anyone interested in genealogical research or anyone looking for teaching tools about contracts and agreements from the period. In addition, two newspaper titles have also been added. Several issues from the Kings Mountain Herald are now available, including two from 1914, more two decades earlier than the next issues. Also available is a new title, the Progressive Reformer, with an issue from 1894. To learn more about the Kings Mountain Historical Museum please visit their contributor page or their homepage. 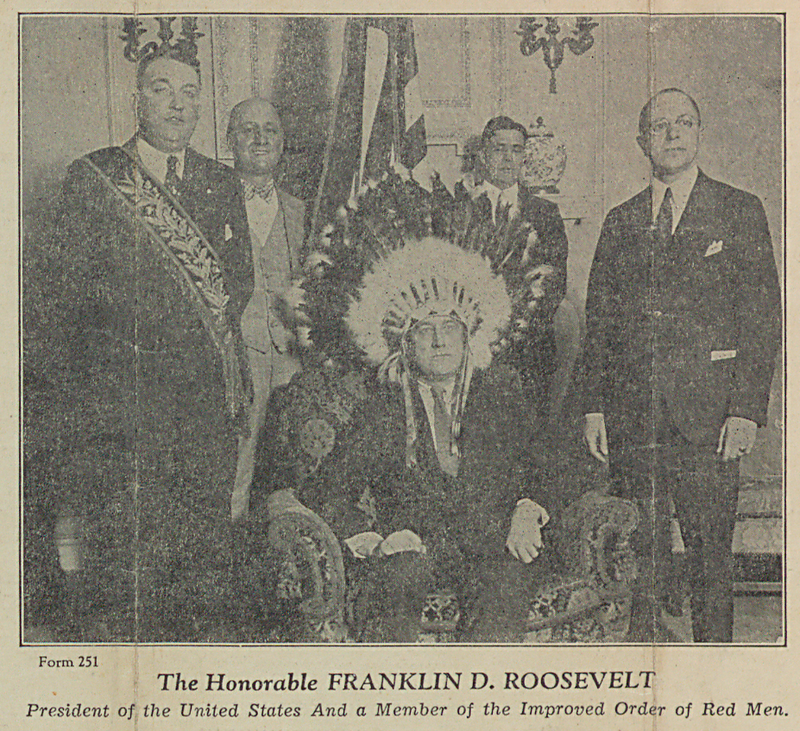 Thanks to our partner, the New Bern Craven County Public Library, DigitalNC has published nearly twenty items from several chapters of the Improved Order of Red Men in North Carolina. This fraternal order, based on the images of Native Americans used by the Sons of Liberty during the Boston Tea Party in 1773. This batch contains many materials surrounding groups based in New Bern, Greenville, and Raleigh. Perhaps the items from the Improved Order of Red Men offer us another alternative to a rather dramatic election year with a suggestion from their By-Laws, mentioned in the image above. To learn more about the New Bern-Craven County Public Library, please visit their contributor page or the website. 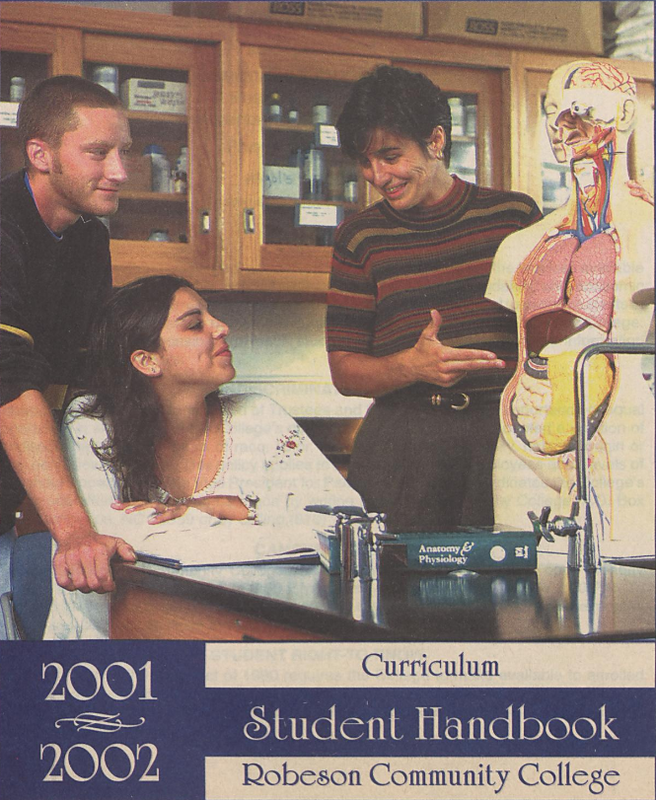 DigitalNC has published new resources from Robeson Community College.This batch includes many pairs of Student Handbooks and General Catalogs for the 1990’s and early 2000’s. They document the campus rules, regulations, and course material for the many programs at the college. The catalogs and handbooks could be helpful for former students investigating the courses offered during their tenures at the institution. It could also be useful for future students in planning their curriculum. All of the items are full-text searchable and are easy to navigate. To learn more about Robeson Community College and to use more of their resources please visit their contributor page or their website. To access similar resources from other community colleges please visit the North Carolina Yearbooks Collection and filter by campus publications.